Big news! Guess who’s London’s newest personal trainer? If you’ve got an eye for detail, you may have spotted a change on my Meet Brit page. But then again, I like to think you all spend more time working out, cooking healthy meals and generally enjoying life more than you do studying my pages for minor editorial changes. So this will be news to most of you – I have now moved on from studying and am officially an all-singing all-dancing all-jumping personal trainer! 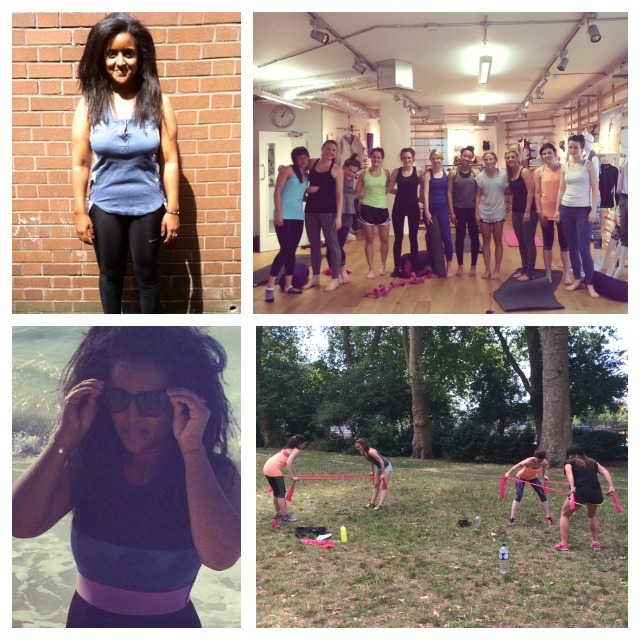 Since I first dipped my toe in the water and guided my friend Basma through her flat stomach transformation, and taught my first class at Sweaty Betty, I’ve relished every minute spent helping people get better results and more enjoyment from their workouts. These 1-2-1 and group sessions are genuinely my favourite part of the week – the high I get from seeing clients’ proud faces after a hard workout is second to none. And I couldn’t be more excited to have achieved a massive bucket list goal and become qualified to take my passion for fitness to a professional level. Better yet, I’ll be starting off my career as an instructor in one of London’s top boutique fitness studios. I can’t reveal much yet, but look out for more news and a timetable of my classes coming soon. Suffice to say, I’ve been going to this studio for the best part of a year and have never once left feeling I could have worked harder. I hope I can set the bar just as high, and I’ll be nervously inviting you all to come down, try out my classes and give me your feedback in a few short weeks! For now, I will be focusing on group fitness and taking on just a small handful of private clients. I’m spinning around lots of exciting ideas to grow the Fit Brit Collective, and I can’t wait to take you all along for the journey. In the meantime, keep an eye out or follow me on Twitter and Instagram for more updates about how and where you can join me for one of the best workouts in London!